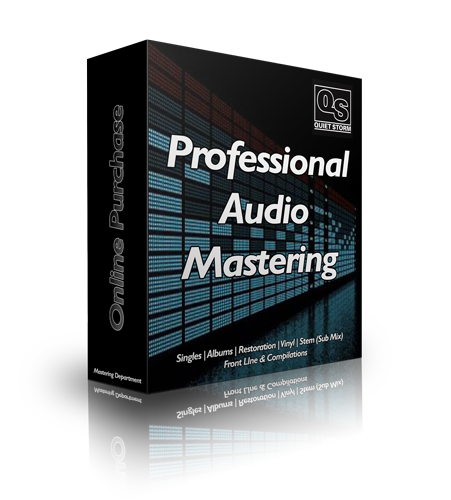 QS Sound Lab's Online Mastering service offers you the opportunity to have your recordings mastered professionally at a fraction of the price. One of our expert mastering engineers will master your material, using the necessary tools combined with years of experience and the QS Sound Lab acoustics to ensure you are 100% satisfied with the results. Track duration must be no longer than 10 minutes. Tracks must have at least -6 db on the master bus. This means that the loudest part of your track cannot peak above negative 6 db in volume. The more headroom you give us the more creative freedom we have to work with. Tracks must be in WAV or AIF format in order to maintain maximum quality. Please try not to send us material that has limiters on the master or final bus if possible. You can have limiters on individual instruments and sub busses (kick, snare, etc. ), create your final mix just as you would normally, just do not place a limiter on the final master bus or final stems that we are intended to master. It will limit the creative possibilities for us to sculpt the sound of the track. We can provide CD's as origial audio masters, backups or reference. Max length 79 minutes. See below for format specifics, shipping and other options.